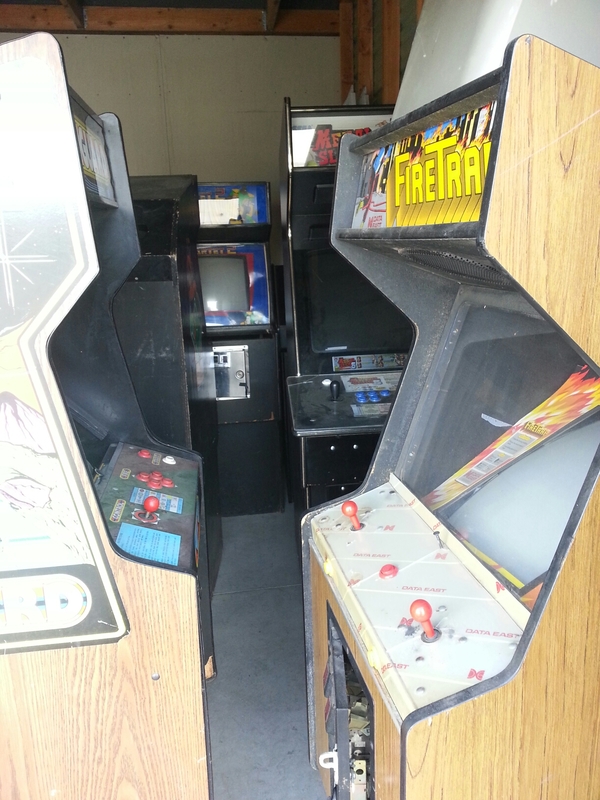 Video arcade, mame, pinball simulator cabinets. 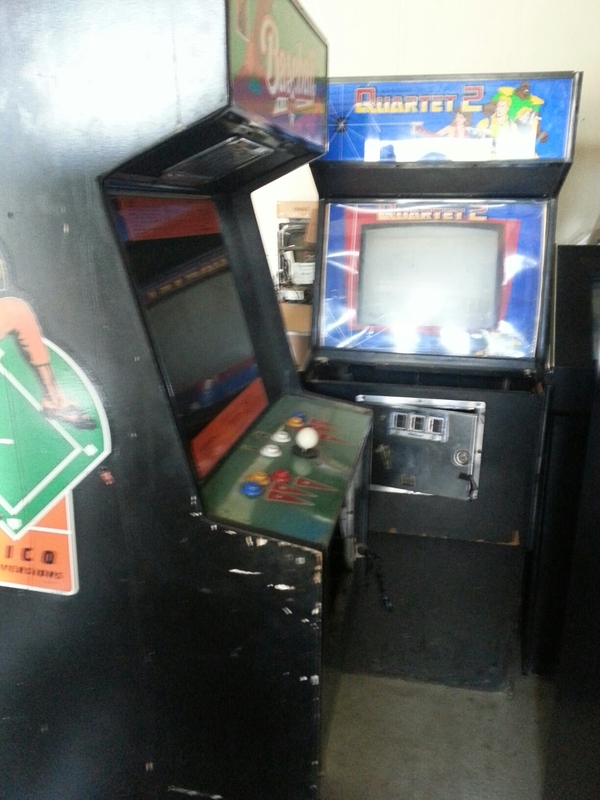 I have a few more arcade cabinets than I need. 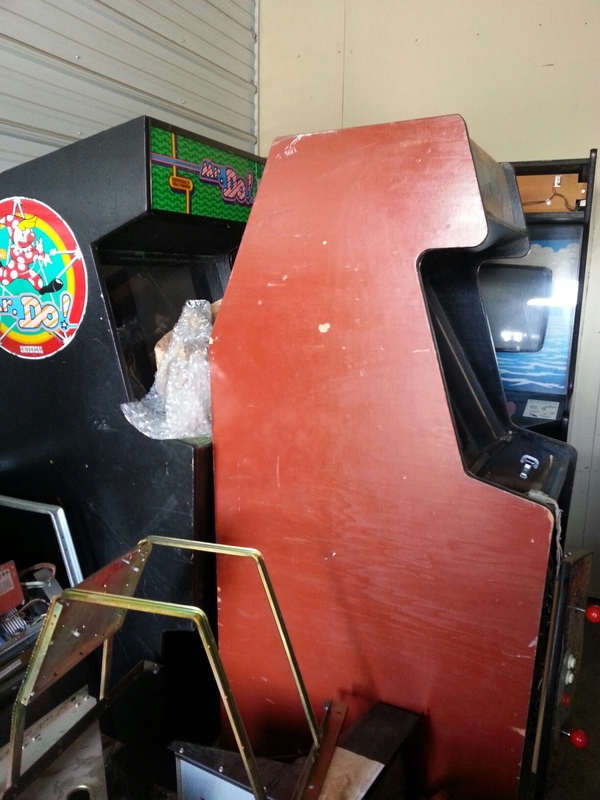 These are great project cabinets to build a MAME multi game or to restore. 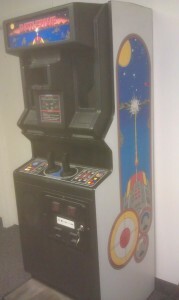 A couple of them would be good for visual pinball simulators as well. Billings Montana the numbers above. I found these Marquees in my stash of goodies today. I have a bunch more from different games. They are all for sale. 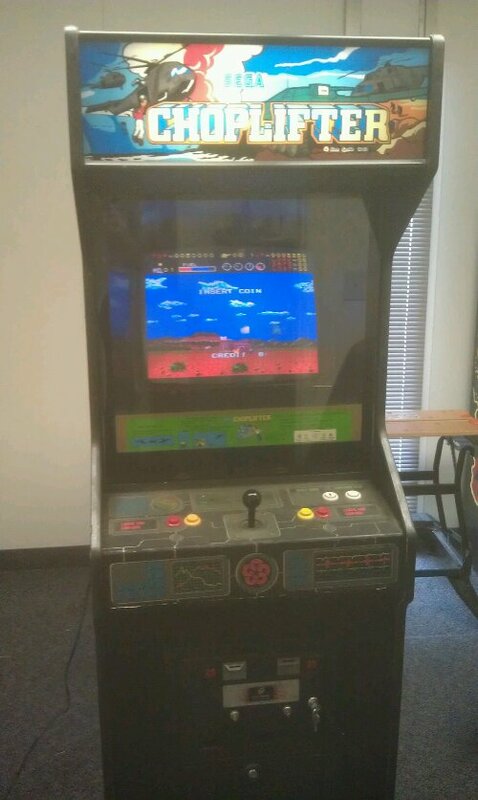 I think I have Qbert, Crazy Climber, Pro Golf, Hero in the Castle of Doom, Berzerk, Pacman, Final Fight, Gorf, Golden Tee 2k, Silk Worm, Solar Quest(x2), Defender (x2), Mr. Do’s Castle, Joust, Jungle King, Silent Dragon, Super Astro Fighter, Tac, Scan, BurgerTime, Donkey Kong, Time Pilot, Qix, Red Alert, Lock’n’Chase, Lost Tomb, Pop Flamer, Robotron. Billings, MT. Call the number above. 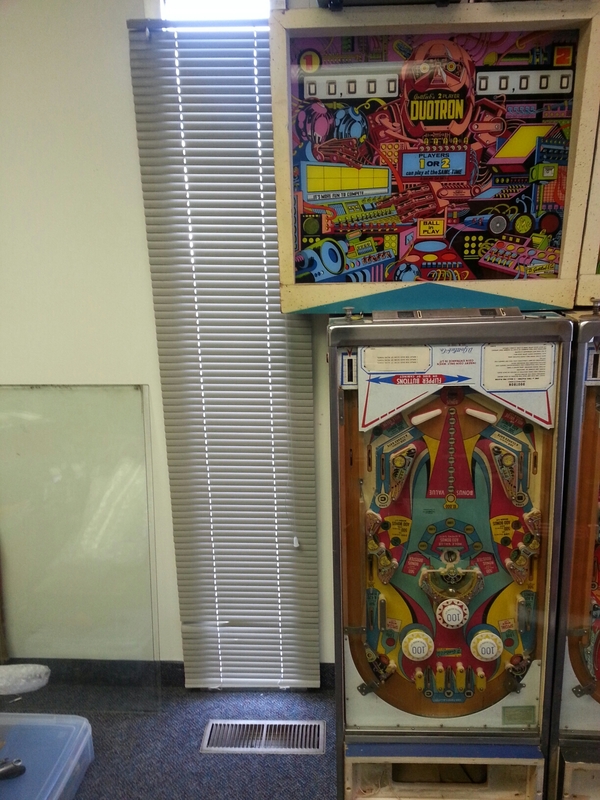 Gottlieb duotron pinball machine project for sale. 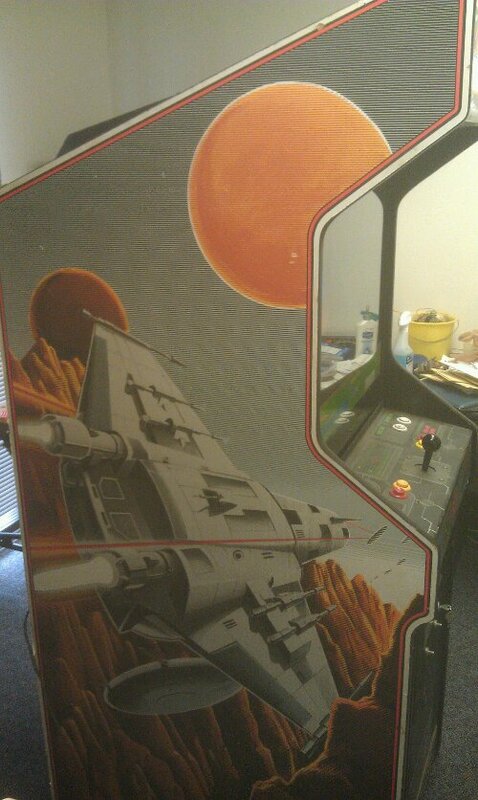 I bought this machine a couple years ago. It has a problem with the startup sequence which I have not been able to fix selling at cost $250. Billings Montana. 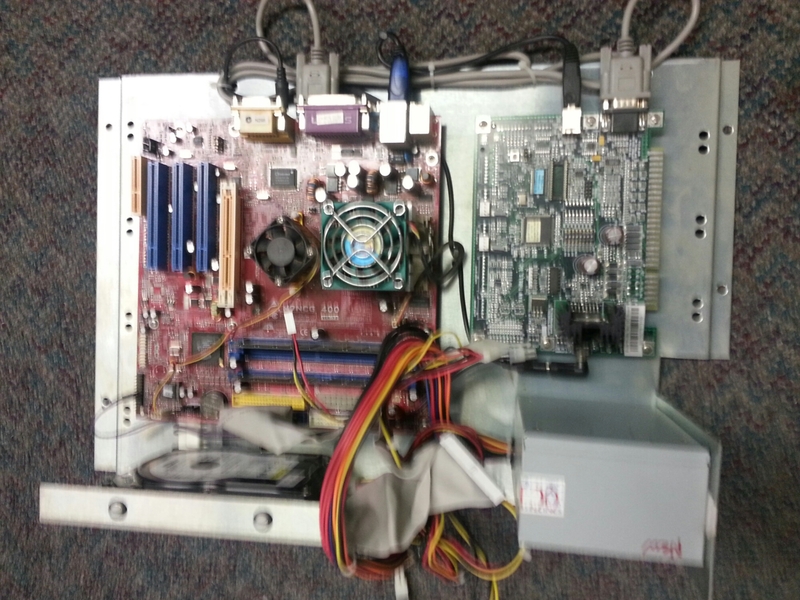 Target terror gold mpu pc computer. 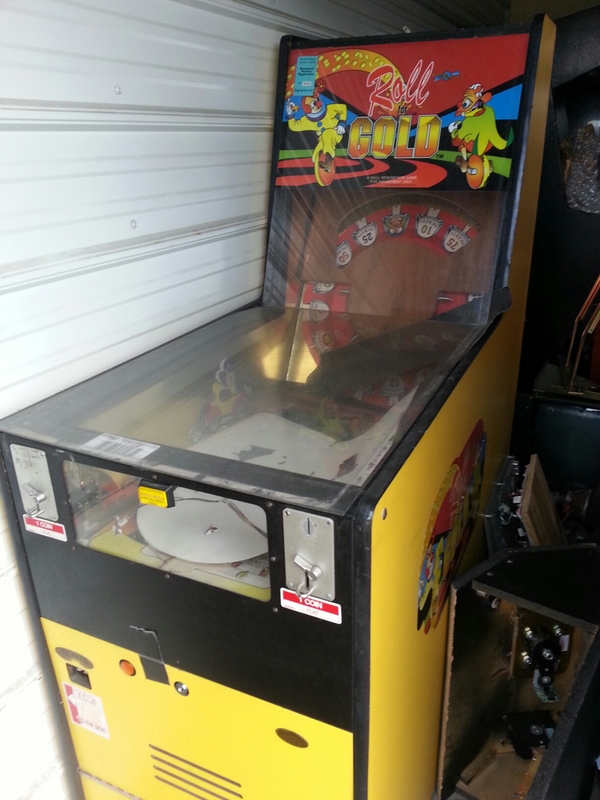 This unit came from an arcade auction. 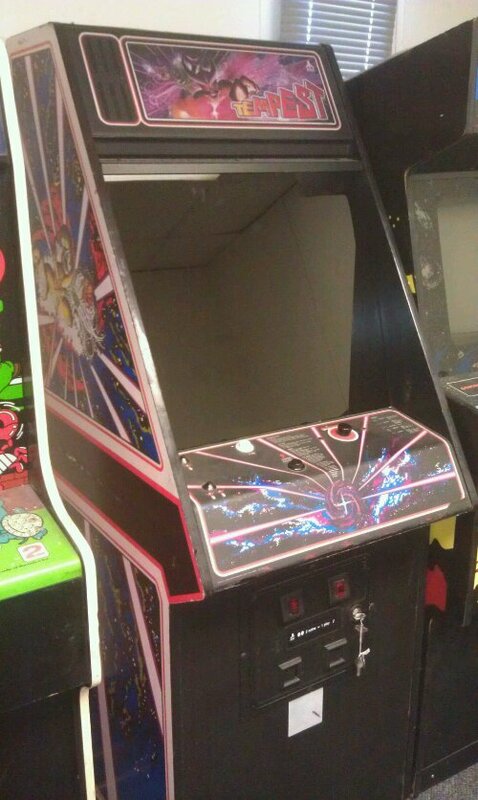 Its condition is unknown I would like $50 for it plus shipping. 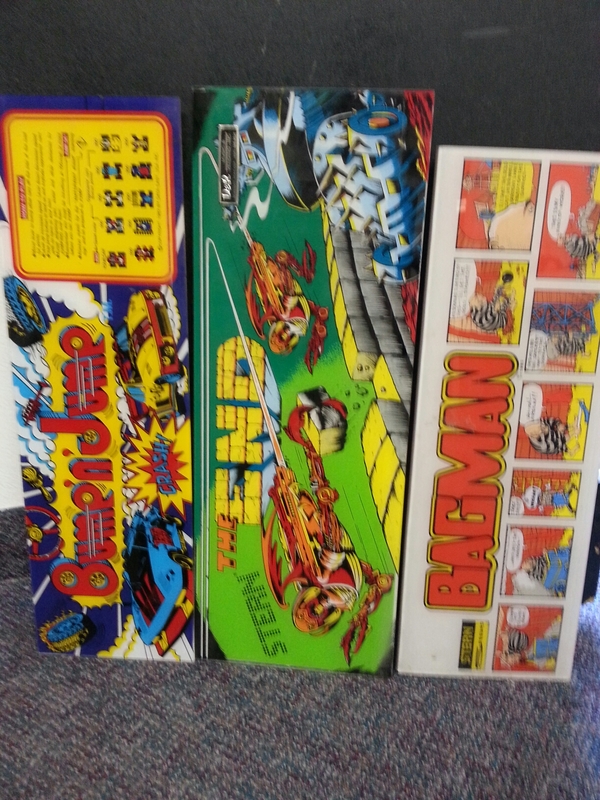 Pinball games in the shop. 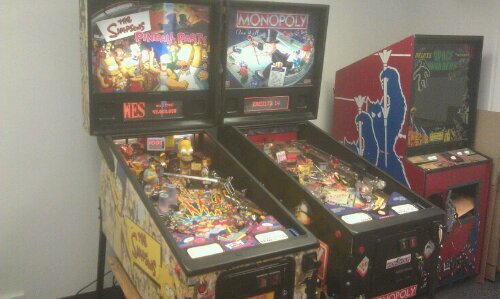 A couple of new machines came into the shop today. They will require minor repairs & Shop jobs. ETA: 5/23/17: I sold the boardset and power brick out of this game and it’s no longer for sale. Watch for a vector-multi in the future. 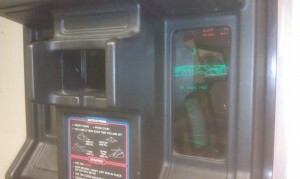 This machine is missing the monitor and internal shroud or bezel. it needs a wells Gardner 19K6102 to be complete. 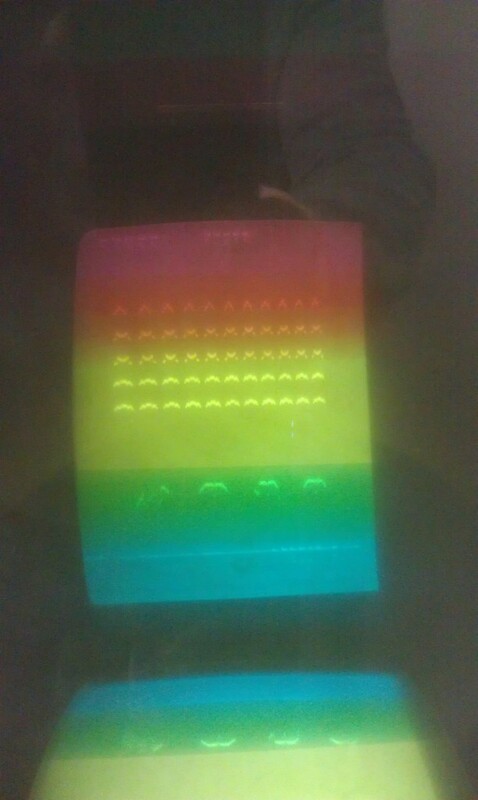 You cannot really see the missing bezel because the glass is tinted so darkly. Otherwise it is complete and working. I had to change the mathbox chip at one point, but other than that, the boardset has always worked correctly. Billings, Montana, USA. I’m happy to ship as long as you arrange white glove shipping through NAVL or some other company that can move uncrated furniture. Commercial address, no loading dock. 59101 zip code. 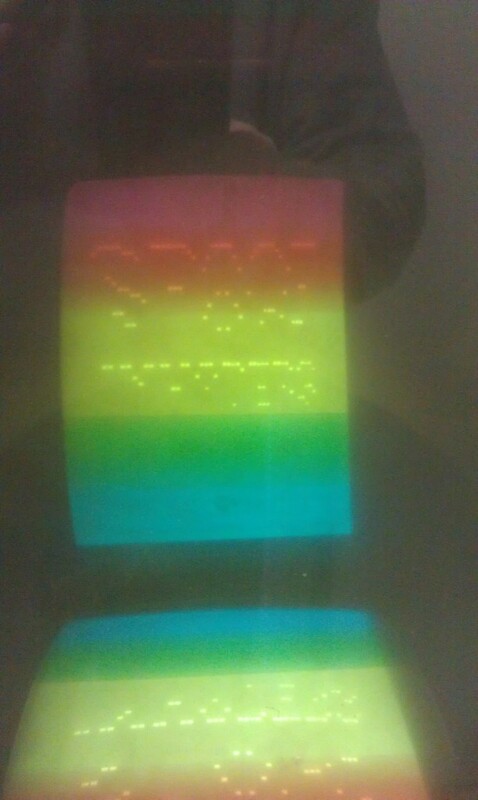 Space Invaders Deluxe Motorola monitor failure. This machine works great. You can find it at American Classic Pizzeria’s Liberty Cafe on the north side of Doc & Eddy’s plaza on 14th and Broadwater. Go give it a play and call me at 855-7057 if you want to buy it. 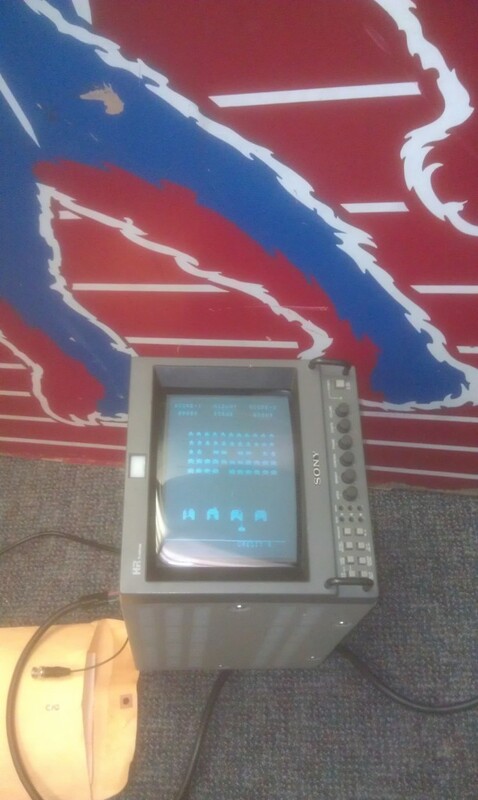 The monitor was recently rebuilt and the game plays great. The price is $750. 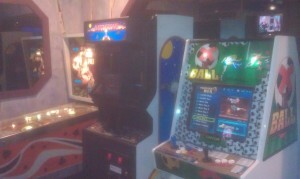 There is a Joker Poker pinball, an Atari Battle Zone vector arcade game and a custom 520-in-1 in the Liberty cafe. 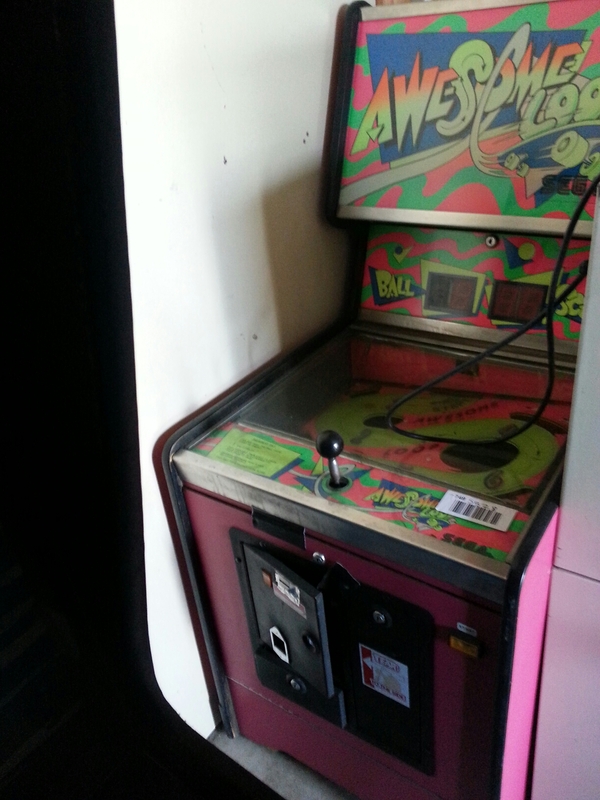 You can find them across the hall from Bones Arcade on 14th and Broadwater in Billings, MT.